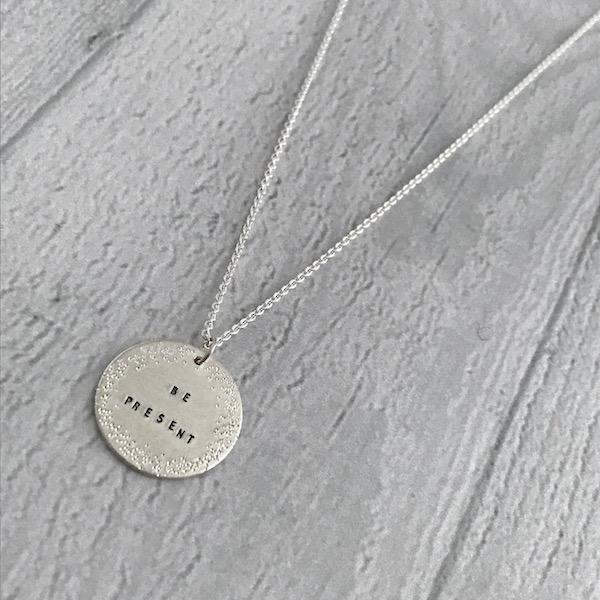 We love the mix of sparkly Diamond Dusting with hand stamped inspiring words The Diamond Dusting effect is created by hammering the silver with a diamond point to create lots of tiny multi-faceted dents that catch and reflect the light from every angle, a truly dazzling effect. 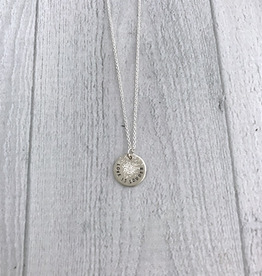 The small sterling silver coin charm on this necklace is 3/4" diameter and hangs on a chain with both 16" and 18" closures to enable it to fit a variety of necklines. 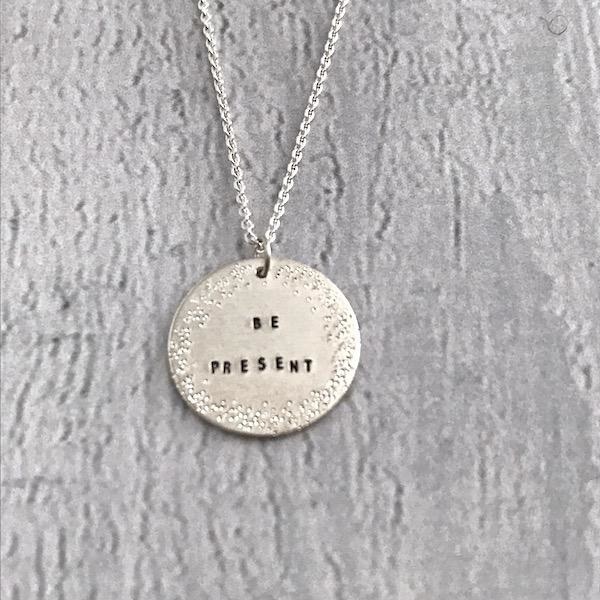 Is there a special word you would like to see? 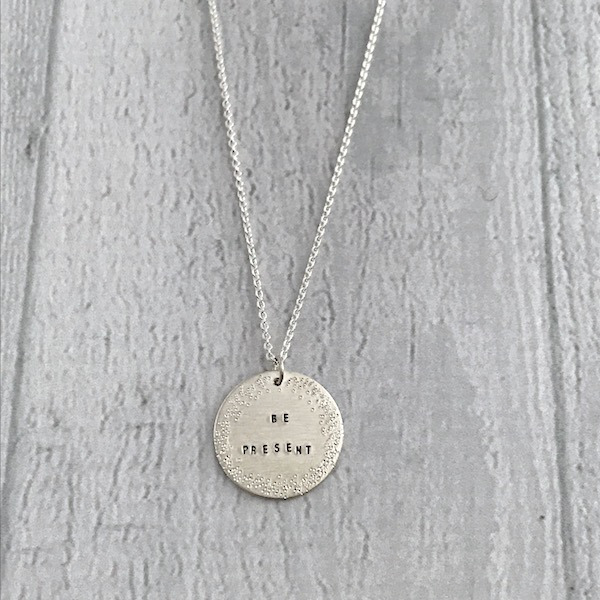 Just call (317-955-9925) or email (info@silverinthecity.com) us to place your custom order. 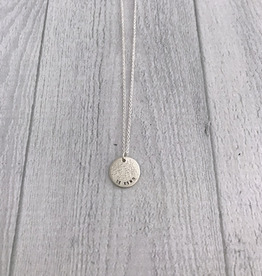 We can also order longer lengths! 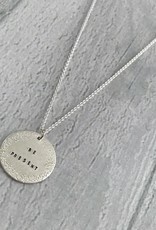 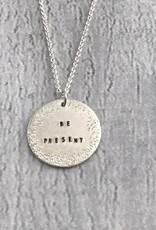 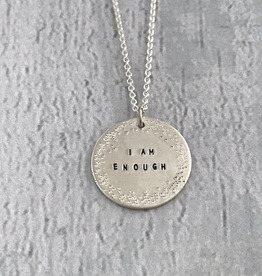 Handmade I AM ENOUGH | 16 & 18" sterling silver diamond dusted small coin necklace. 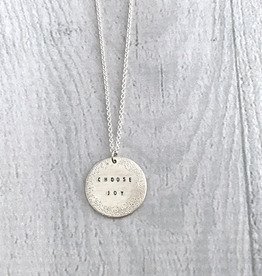 Handmade LOVE IS LOUDER | 16 & 18" sterling silver diamond dusted mini coin necklace. 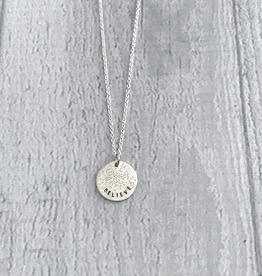 Handmade BE KIND | 16 & 18" sterling silver diamond dusted mini coin necklace. 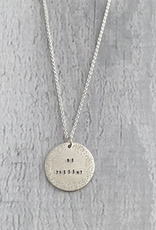 Handmade BELIEVE | 16 & 18" sterling silver diamond dusted mini coin necklace.